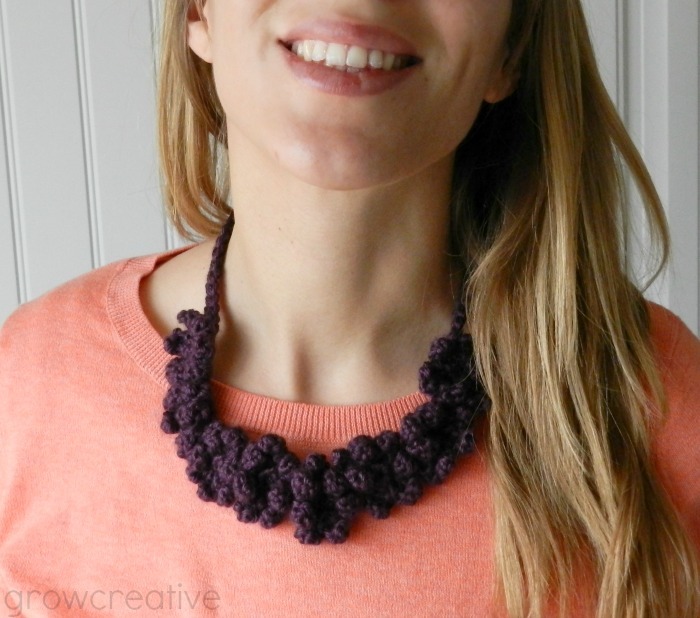 Ready to make some more crochet jewelry? 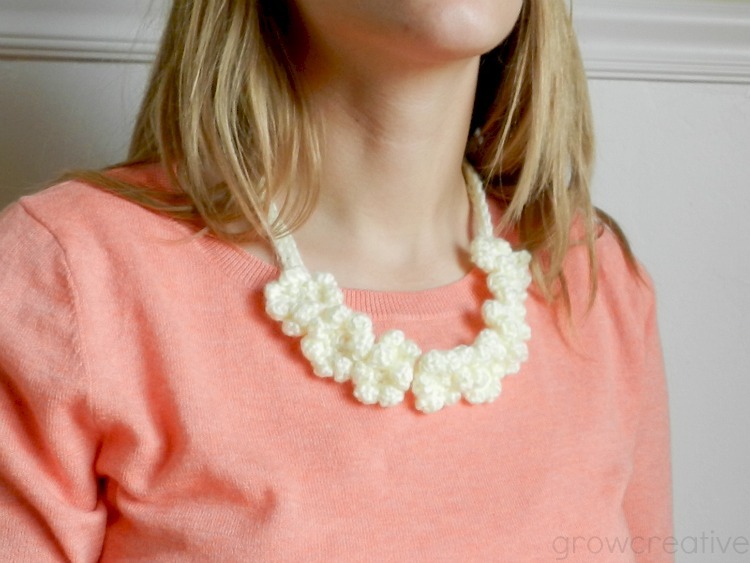 Here's a simple tutorial to help you make your own Crochet Flower Necklaces.... just in time for spring! Step 1: Using your E hook, Chain 80. 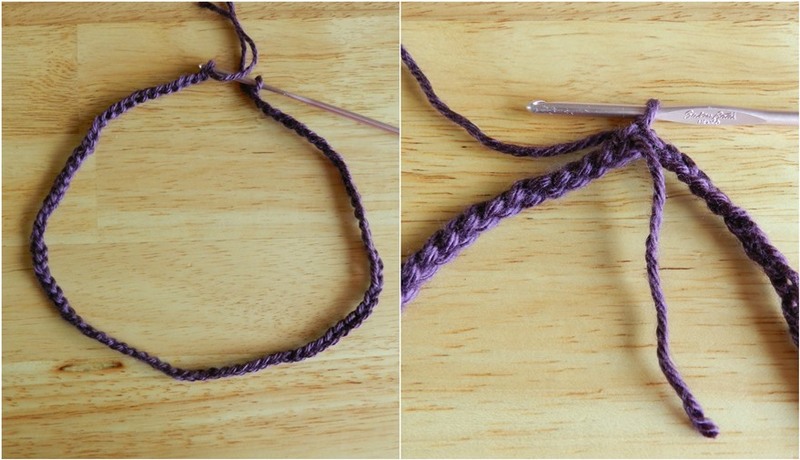 Step 2: Slip stitch into beginning chain to join ends together, making sure to not get your long chain twisted. Step 3: Chain 1, single crochet in each chain around. 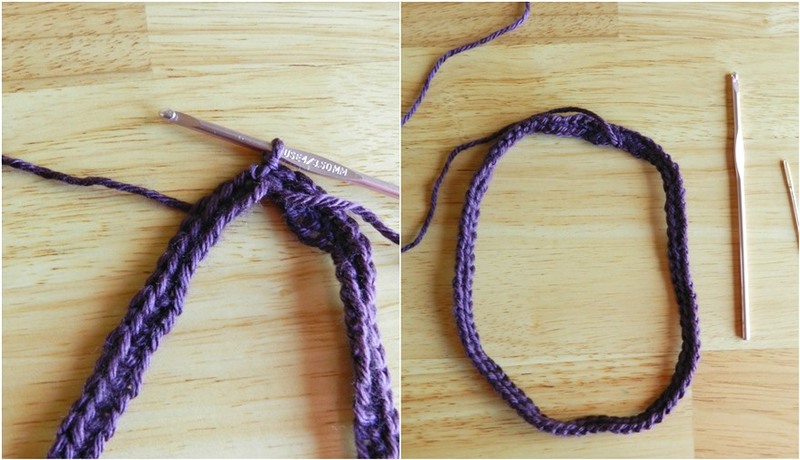 Slip Stitch in beginning single crochet and fasten off. Leave a long tail on the end for attaching the flowers in the following steps. Now the necklace base is completed! Step 4: With your B hook, crochet 8 small daisy flowers. You can use my free Seven Petal Daisy Pattern to make them, or you can try other types of crochet flowers of your choice. Step 5: Thread the long tail at the end of the necklace through your yarn needle. Stitch the flowers to the outside of the necklace in a row, squishing each flower close to the next. Step 6: Once all the flowers are attached in a row on the same side of the necklace, fasten off the end of your string and weave in any loose ends. All done! Have a fabulous rest of week and weekend! Great project!I love your flowers creation!i'm your new follower! thanks for joining up and linking at Take-A-Look Tuesday - - just wanted to give you a heads up that I featured you yesterday! !